Our school provides a Christ-centered atmosphere where faith is integrated into all subject areas. Jesus Christ is the center of our school philosophy and activities. Accordingly, we at Child of God Lutheran School believe that each child is a creation of God. Each child has spiritual, emotional, physical, intellectual, and social needs. To meet these needs, we are committed to giving our students a developmentally appropriate education. Hands-on learning is developmentally appropriate for young children. We want to increase students’ knowledge and enrich their lives as they experience new ideas. Development of spiritual understanding and values. Development of a positive self-image. Positive social interactions and development of socialization skills. Communication skills, beginning with oral language and moving towards print. Appreciation and exploration of the fine arts, including art, music, dance, and drama. Development of motor skills, fitness, and well-being. Development of creative expression, problem solving and conflict resolution. Development of curiosity and critical thinking skills through an awareness of the world around them. 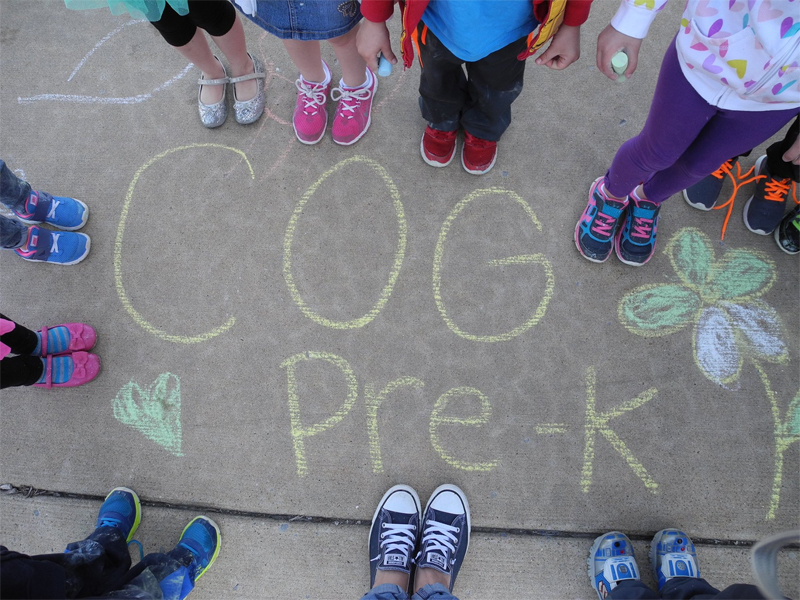 Preparation to succeed in Kindergarten at Child of God Lutheran School or beyond.